Love the invitation but don't love the font? Or just want options? We are happy to change fonts for you. We have thousands to choose from! The lists below are a few of our favorites. 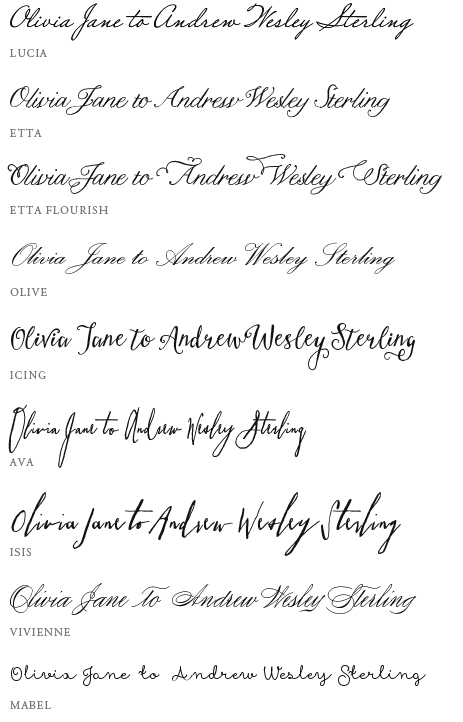 We're also happy to suggest some font alternatives based on your invitation design and event.